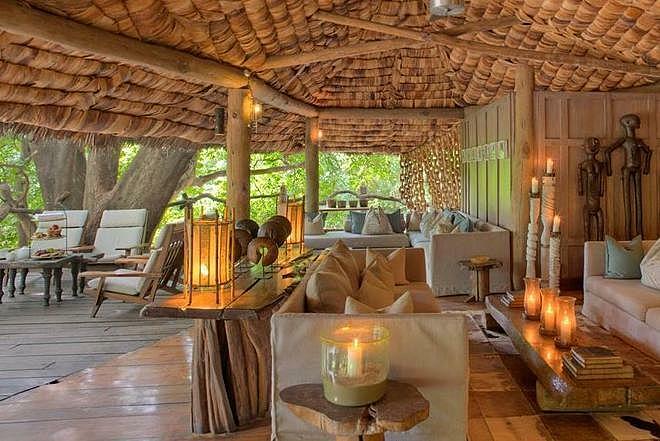 One of the best offerings in the Lake Manyara area, Northern Tanzania, this ‘&Beyond’ property is sophisticated and stylish with good game viewing. Secluded treehouses provide unusual, luxury accommodation. 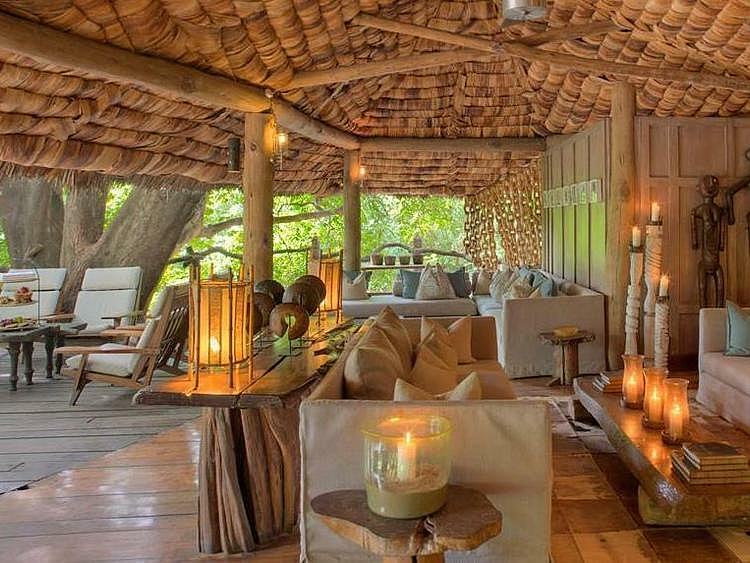 The main area at Tree Lodge is split over two levels, with high thatched ceilings to provide a great open air dining area and kitchen. The large decking provides plenty of seating and a pleasant pool area is a short walk away. 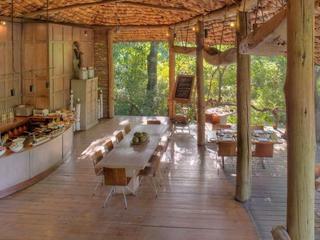 Meals can also be prepared in the forest boma, offering a unique open-air dining experience. 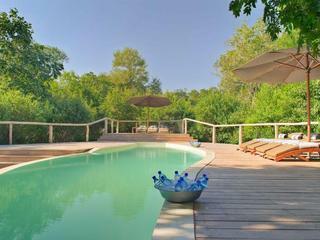 Far from the park’s entrance, twice daily game drives explore the remote southern region of the reserve. 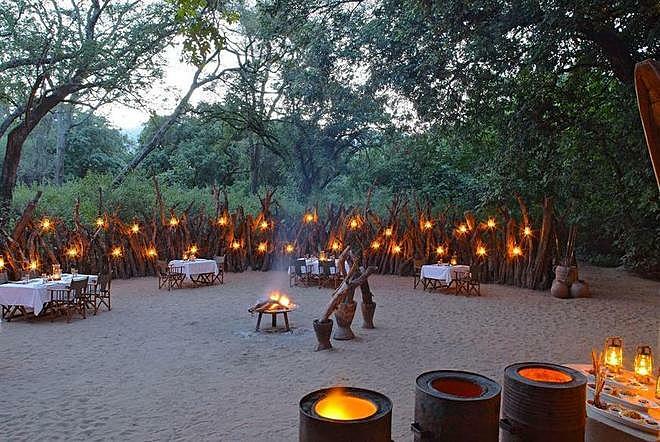 Away from daily visitors, game viewing is led by expert rangers and includes a visit to the lake shore and the pursuit of Manyara’s famous tree-climbing lions and herds of elephant. Night game drives provide the chance to witness the area’s nocturnal wildlife. 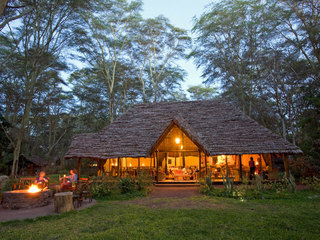 Other activities include mountain biking and Maasai village visits. 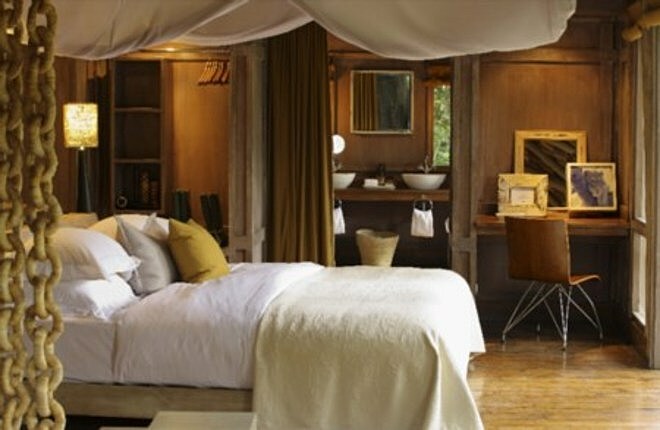 Built on stilts, each of the 10 tree-top suites has an outdoor shower and private veranda amidst the sights and sounds of the bush. 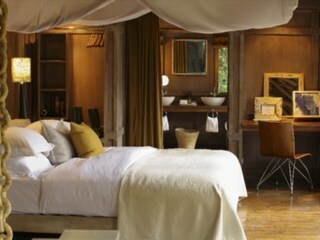 The surrounding canopy gives each tree house a sense of privacy and seclusion, and every room is exquisitely designed. 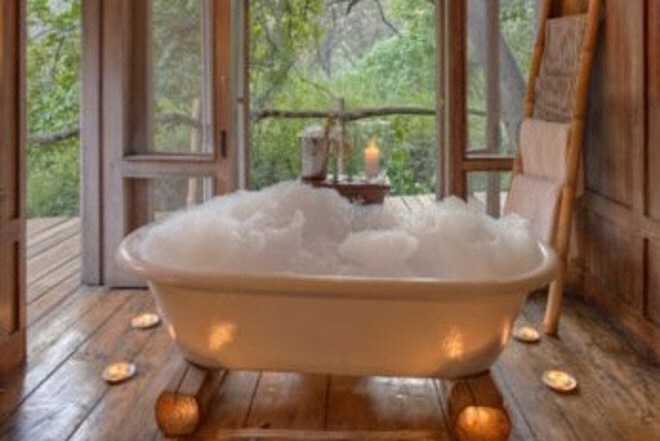 Natural colours and materials create a minimalist feel, whilst a freestanding bath and large bed add a touch of luxury. 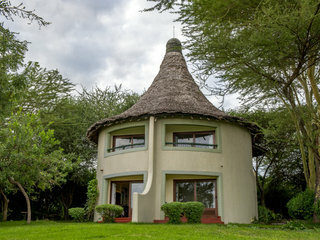 Children of all ages are warmly welcome, and there is a spacious and delightful family suite, custom built to house two adults and two children (three children can be accommodated on special request). 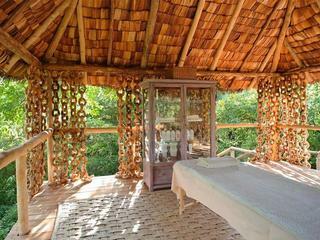 This charming suite comprises a double and a twin room, both en-suite. Each bathroom has a shower, and the main bathroom also features a freestanding bath. Standard triple rooms can also be arranged, with children under 16 years of age obliged to share with a parent. 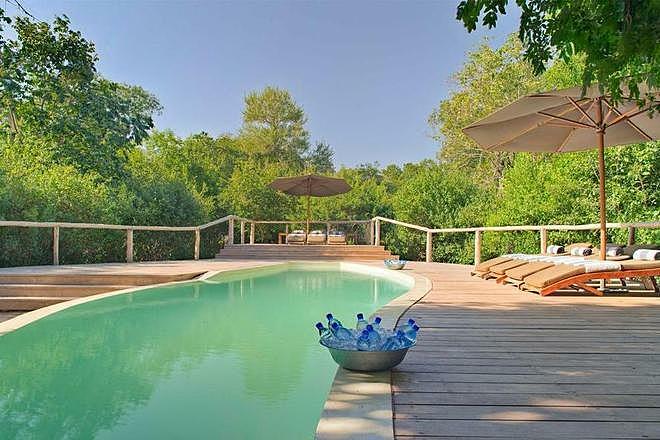 Although some age restrictions do apply to activities, children aged 12 and over can participate in non-exclusive game drives, and children aged 6-12 may participate at the manager’s discretion. 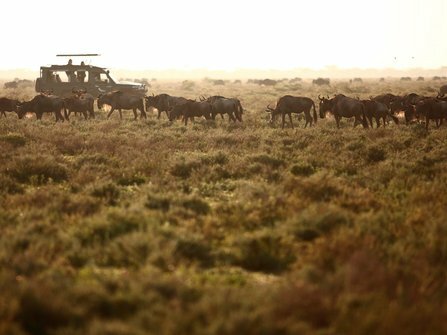 Childminders can be booked during game drives for children under the age of 6 at additional cost, although those aged 3-5 years may be allowed to participate in shortened drives (again, at the manager's discretion). Should any family choose to pay extra for a private vehicle (subject to availability), there is no age restriction at all for their children. 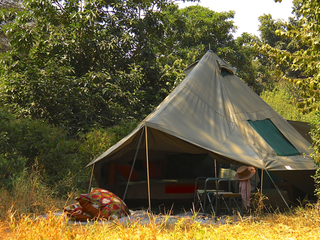 During family 'down time', the &Beyond ‘WILDchild’ programme keeps children well entertained. Activities might include tracking and fishing, making traditional bows and arrows, crafting, and painting. 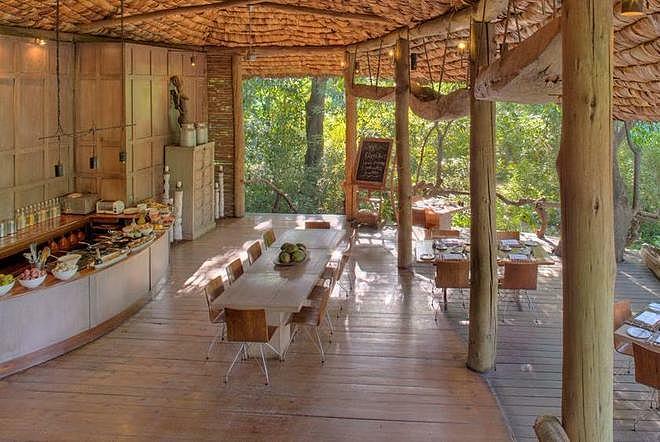 Given the property’s unfenced bush location, and the tree-top height of the accommodation, note that parents must supervise their children vigilantly at all times. 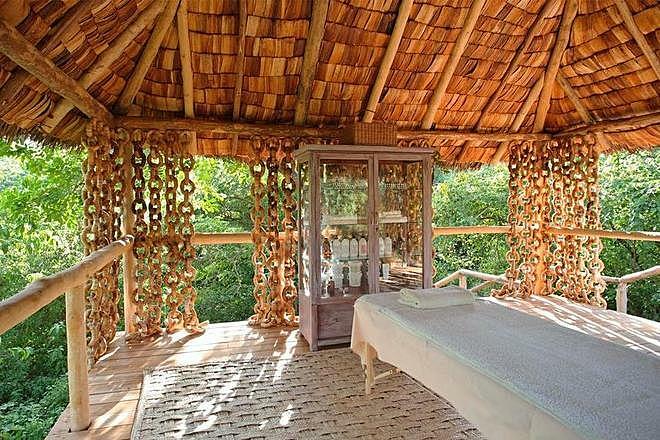 While it's true that the price tag might be on the high side, the &Beyond Lake Manyara Tree Lodge is a professionally run property in an ideal location and makes for a wonderful stay in the heart of the forest.